This weekend has been a busy one, spent mostly doing housework, tackling laundry and cooking in readiness for next weekend, when we have another event. I've snatched the odd moment for a little knitting, crochet and spinning here and there, but mostly my craft activities have been limited to thinking about doing stuff rather than actually making anything. 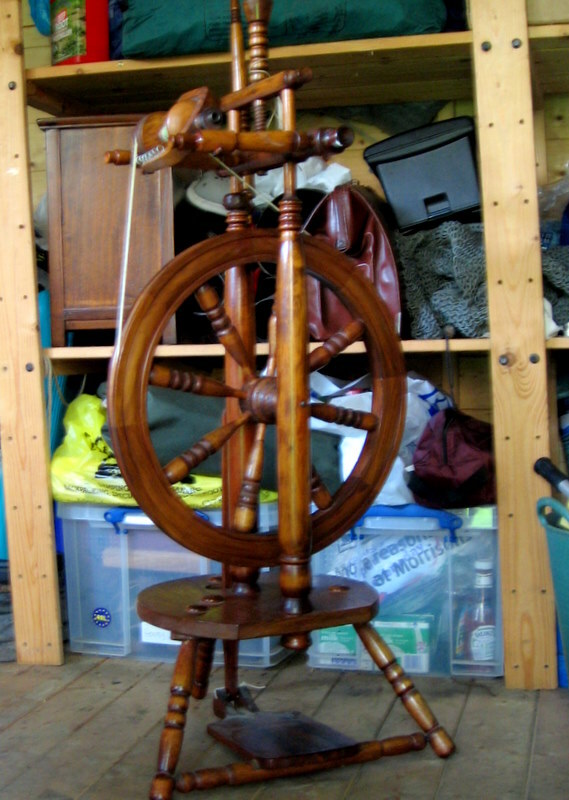 This is my new spinning wheel courtesy of Kellie, who was looking to pass it onto a good home as she has another one which she uses with this one going spare. So far, I've barely touched it as Dave took charge of the wheel, whisking it off to the shed on Saturday afternoon, where he is cleaning, glueing, oiling and generally giving it a bit of TLC. Once he's done, I'm going to need to learn how to use it, but I'll sort that out when I've got a little more free time. 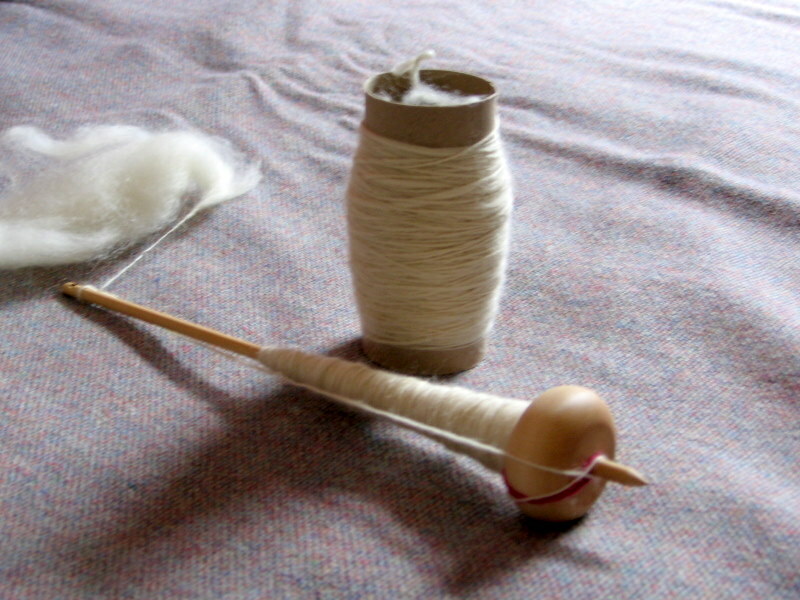 While I wait for Dave to return the wheel to me and for enough time to sort out either suitable reading material or a lesson or two, I have of course been continuing to work with my spindle. And I think I'm beginning to get the hang of it. I had to unload the spindle a few weeks ago, dropping the spun single onto a cardboard tube where it will stay until I have enough to ply. I immediately started another batch which as hopefully you can see, is coming along nicely. I'm still slow, but considerably faster than I was the first few weeks until a quick lesson from Kellie who showed me how use the park and draft method properly. The main holdup is just not having enough hours in the day generally at the mo.